Some play for the love of the game. Others love life in general. For Colorado State University goaltender Nick Church, there’s no separation between the two; he loves hockey, and it’s spilled over into his other passions. The Corona native never played junior hockey; he simply walked on to the university’s American Collegiate Hockey Association (ACHA) Division III team. Church knew he was living a dream just playing at the college level, and he started making an impact from the moment he set foot in the crease. Colorado State qualified for the ACHA National Championships in each of Church’s first three seasons and is on track for a fourth trip. The senior has made at least 12 starts in each of his three previous campaigns. Entering February, the Rams held a 20-4-4 record while occupying the top spot in the ACHA Pacific Region standings. Church contributed a 9-1 mark. Church likes playing in the environment of a hockey-driven state. He noted that the fan base has been particularly supportive in the team’s main rivalry games against the University of Northern Colorado and University of Wyoming. 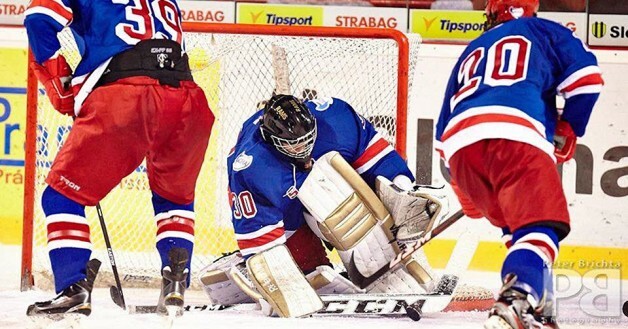 The highlight of Church’s collegiate career came over the holidays, when he was chosen to be a part of the ACHA’s Select Team that competed in Europe. Hockey was only part of the equation that made the overseas stint a fond memory. Five of the six games were played in Europe. Church expressed an interest in history and languages, so it’s no wonder why the travel topped his list of things that he’s been able to do with hockey. Church has acted on his interest in other cultures. He’s a minor in French, and he recently began learning German. When Church has the opportunity, he doesn’t consider his class slate complete until it includes a history elective. Church says playing on the Select Team was a unique experience due to changes in the speed of the game. Craig Carroll, who coached Church with the Los Angeles Jr. Kings’ Midget 16U AAA team, recalled a conversation with his former goalie that highlighted how sharp his hockey IQ is. “He said that the speed and tempo were faster, and he needed a period to acclimate himself,” Carroll said of his talk with Church about the Select Team’s contests. The year Church came to the Jr. Kings, he took the team to astonishing success. Church led his squad past a heavily-favored LA Selects club in their division at the California Amateur Hockey Association State Championships, 2-1 in overtime. Church hopes to extend his dream by playing in Europe after he graduates. “I’m putting together some game films,” he said. “I just want to keep playing hockey.